We’re moving to Las Vegas! I have some exciting news. 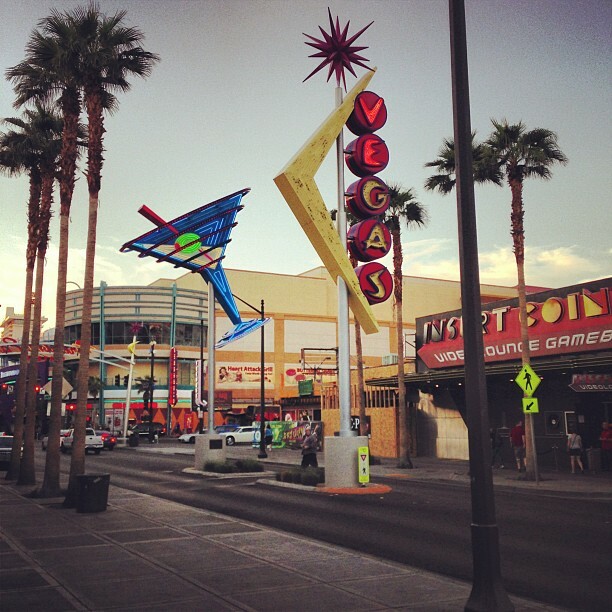 Lauren and I are moving to Las Vegas, Nevada on Saturday. There’s an incredibly vibrant tech/startup community in Downtown Vegas that’s being built up by Zappos’ CEO, Tony Hsieh, his team, and dozens of tech startups that are relocating there from around the country and even world. Lauren’s startup, Umba Box, has been asked to be a part of the Vegas Tech community (we’ll be able to share more specific details about what this means at a later date), which is what’s initiating the move for us. Friday is also my last day at HelloWallet. I’ll be talking more about what’s next for me job-wise soon. I’m really excited for this new season of our lives and what God has planned for us in Las Vegas. I’ll be just as active on social media (including writing more for this blog) so, if you’re interested, it’ll be easy to keep track of our comings and goings. While I’m excited for this new opportunity, it’s definitely hard to leave a city that I’ve called home for almost 7 years now. There are so many people who I’ve met over the years that have been such an incredible blessing to me and Lauren. I can’t do or say enough to repay how thankful I am for how much you’ve contributed to our lives. Also… can’t leave without saying how so incredibly proud I am of all that’s happened during my brief tenure in DC with the local tech community. I remember when Social Media Club was one of the only meetups and Peter Corbett, Joe Price, and I would sit around a conference table with 10 other people pontificating about the future. Now the DC Tech Meetup commands an audience of 1200. I remember when I could count all the startups on one hand. Now there’s new ones popping up everyday. I’m excited for the future of the DC Tech community and I’ll be actively tracking its progress. And if you’re ever in Vegas, holla. Would love to meetup. 🙂 XO! Thanks Julie and thanks for the coffee rec. Definitely thinking about getting a subscription to Counter Culture. Congrats on the move. I’m sure the Chip-N Dale dancers will be stoked to have you aboard. That is your new job news, right? Looks like I’m going to miss you by a few days. I’ve been in Vegas for the past month hanging out with family, but I’m headed back to LA tomorrow for a job and to get networked into the Silicon Beach scene. If you make it down to So Cal, hit me up and we can grab coffee. Justin – That’s so freakin’ awesome!! Good luck and safe travels at the start of this new awesome adventure!! what’s the over/under on # of requests from folks wanting to crash at your place for CES next year? Looking forward to staying in touch. Was great to hang out at DC events and it’s so coincidental that I am making a change in position and announced that news myself http://www.shashi.co/2013/02/a-salute-and-journey-forward.html . See you soon before you move or in Las Vegas. @Shashi, congrats on the new gig & let me know the next time you’re in Vegas. What a wonderful opportunity for you and Lauren. May God richly bless you and your endeavors. Congrats Justin and Lauren. I remember being on of those 10-20 people (I think Shashi was in that group too) and wondering why there wasn’t a tech scene like the Valley or Boston. Now there is and soon there will be on Vegas. I am up here in Boston now and I have lived in three vibrant tech scenes but you will get to be part of a new one that I think will become the new Austin (without the hipsters). Safe travels!